San Antonio (AP) — Three well-meaning people suffered bites when the kittens they rescued after hearing them mewling in a San Antonio alley turned out to be ravenous bobcat cubs. 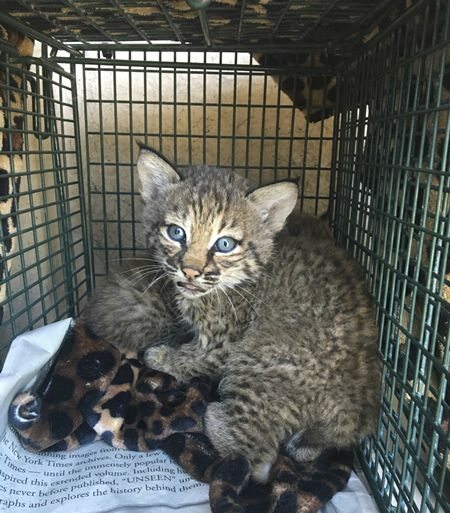 The caretakers found the blue-eyed, stub-tailed pair of young bobcats and, thinking they were Bengal kittens, took them in. They fed the bobcats milk from pet-feeding bottles, but realized something was amiss when the aggressive animals tore the bottles apart and bit them. They called animal control officers and a wildlife rescue group took the wild cats away. Workers intended to wait in the alley hoping to find the mother and reunite her with the cubs. Berlin (AP) —A resident in Loerrach, near the German-Swiss border, called the emergency number to report his concerns about loud shouting from a next-door apartment that had been going on for some time. Police said that officers sent to the scene found there was a loud argument going on — but it was between a 22-year-old man and a parrot. The man told them he had been annoyed with the bird, which belonged to his girlfriend. The parrot responded to being shouted at with loud noises of its own. Police said it couldn’t speak but could bark like a dog. Hanoi, Vietnam (AP) — A group of Chinese tourists wearing T-shirts depicting the country’s territorial claims in the disputed South China Sea has sparked anger in Vietnam. The tourists arrived at the Cam Ranh international airport last week and after going through the immigration, took off their coats to reveal T-shirts featuring the so-called “nine-dash line” demarcating Beijing claims to nearly the entire South China Sea. Vietnam is one of the rival claimants. State-run Tuoi Tre newspaper reported that Vietnamese authorities confiscated the T-shirts. 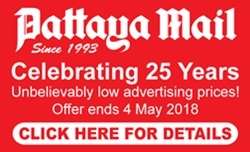 Some readers commenting on the newspaper’s website called for the deportation of the Chinese tourists. More than 4 million Chinese arrived in Vietnam last year, accounting for about 30 percent of total foreign arrivals in the Southeast Asian country. Boston (AP) — It won’t land him a spot in the Olympics, but a Massachusetts college student has run one of the fastest miles while juggling — an endeavor called “joggling.” Zach Prescott ran a 4 minute, 43.2 second-mile while juggling three lacrosse balls. The junior business student who is on Boston University’s track and cross country squads told The Boston Globe it’s all about focus and rhythm. Once he gets used to the speed when he’s running, “you’re pretty much just juggling in place.” If verified, his time would beat the previous world record by 0.6 seconds.